1. Handheld only Switch is a dumb idea just on the basis of confusing consumers. After Wii U, Nintendo you'd think would be careful about that. That just seems confusing when it is literally called the Switch if a parent buys it for their kid and then realizes it can't do the actual "Switch" ing part of it. 2. Switch pro is ok but I hope it isn't an excuse for Nintendo to not have their games run as well on the normal Switch. It's Nintendo and I remember the New 3DS so I'm not sure that'll be a thing for most of their games anyway, but it's still a slight worry. I love that Nintendo has often prioritized 60 FPS, so taking that away just because you don't get a 2nd version of the Switch would be a real shame. @Grumblevolcano The whole "we need dedicated servers on Switch" ideology is like the blast processing of today. Most people don't fully understand it, but they use it as fuel for their arguments anyway because they heard someone else say it's important. Dedicated servers don't necessarily mean better online performance. They're good for people close to the servers, whereas P2P is good for when you're close to your opponent. And all of this means nothing if the game's netcode is poorly optimized. Remember that Let's Go was $60 too. Compare that to $35 of Gen 4-5 and $40 of Gen 6-7. So it most likely brought in more revenue overall, especially with that Pokeball Plus, which unlike the Pokewalker got some extra revenue. Also, dedicated servers became just another buzzword for idiots to use. It's more than just that. But people won't get that because they're ****ing stupid. Dedicated servers are about consistency. If it lags, it lags for everyone. The time it takes for actions to actually happen is theoretically the same for all participants. This isn't necessary true in a peer to peer network. If I connect to your switch, your button presses might be already be registered before mine has even left the switch. You will have an unfair advantage. Another problem is the security aspect. Nintendo expect you to port forward every single port into the switch otherwise you will never be able to play against anyone that haven't opened up their Network. I won't let an appliance have full access to both my lan and internet. I simply do not trust Nintendo in that regard. But I am actually perfectly fine with peer to peer. But why should I pay extra for something like that? 1 Nothing is ever needed. Nobody needs a handheld only Switch. But nobody needs a hybrid Switch either. Many people want a hybrid Switch, and you can bet there are millions of people out there who would want a handheld only Switch. 2 The name is a problem, but not one that can’t be overcome with adequate labeling on the box in big giant letters, “HANDHELD ONLY, SYSTEM DOES NOT DOCK TO TV”. We all know how much Nintendo likes giant warnings on the front of their packaging. Don’t think for a second they wouldn’t leverage that skillset to skirt the issue of the name. 3 Switch has many purposes to many different people. Switching is one major purpose to a majority of gamers. But playing on the TV only is a purpose to millions of gamers as well. As is playing handheld only. The strength of the system is being whatever you want it to be. It’s a fact that a significant portion of the market would buy a cheaper, handheld-only Switch. There’s no reason not to capitalize on that. I disagree with NEStalgia more times than not. But in this case I do think he’s right. They’ll want a $200 sku out for Pokémon. 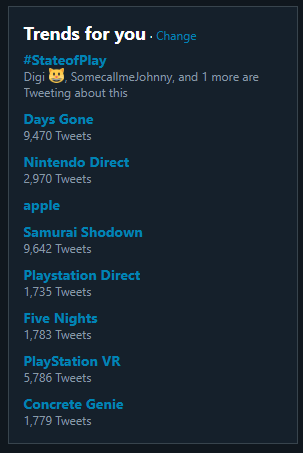 @EvilLucario That’s not really hard when the PlayStation equivalent forgot to include any announcements outside of a few VR titles. If this was Sony’s answer to skipping E3, then they really must have nothing in development worth showing anytime soon. Likely until the PS5 announcement. It’s the same with Xbox, the Inside Xbox really doesn’t need to exist until they’re in a position to really start announcing lots of big games. And even then the style just doesn’t work unless they really feel 5 new coloured controllers is big enough for a show. @Morpheel A new thing Apple just announced today. Something about no MTX or ads with something, I didn't look too much into it. Which is why they renamed it the 2DS. It's an easy way to tell the average consumer that there's a difference. FFVII is on the UK eshop now so it's a midnight release rather than afternoon. @Grumblevolcano Most things are midnight releases here in the UK. @Link-Hero It still does defeat the original selling point of it (the 3D) which is pretty much the same thing a portable only Switch would do. Not to mention that any games you bought for the 2DS would still say 3DS on the box. Lots of games being announced for Switch lately. Compare to 2017. Remember when announcements were so sparse everybody was feeling the gloom? As a less powerful, portable system running ARM, it’ll never get the kind of support PS, Xbox and PC enjoy. But for a Nintendo system and especially as a portable, Switch has really been picking up a lot of steam lately. I expect that to continue throughout the year. 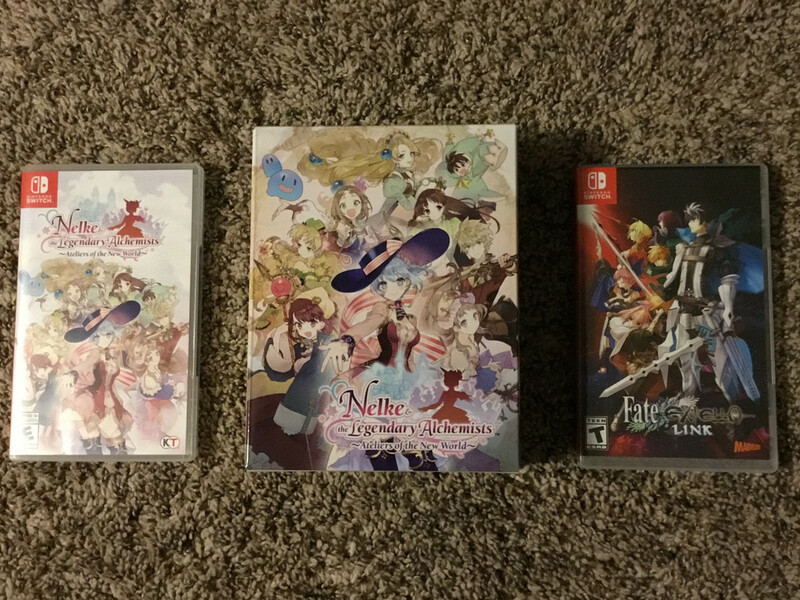 Btw, just got Fate Extella Link and Nelke and the Legendary Alchemists: Ateliers of the New World (that’s a mouthful) in the mail. I feel like Nelke and the Legendary Alchemists looks and runs a lot better than Atelier Lydie and Suelle. They’re Switch development experience is starting to shine through. It’s a different kind of game though. A base-building spinoff, where you construct a town, build shops, alchemy, assign tasks, explore for resources, encounter enemies to fight, etc. Resource management type stuff. There’s something about these games I really like. They’re so happy and cheerful and the main characters have this crazy sense of Deluxo aristocratic fashion that puts me at ease every time I see their frilly dresses with giant bows and large, spanning hats. @JaxonH is there a specific order to play all the Atelier games in?